During the holiday season often employees are seen to be unfocused, distracted, or unmotivated. Sometimes, the thought of the office holiday party does not bring cheer or glee, because it is the same old party or it no longer serves your employees. It is about rebooting your team and re-energizing them for what is coming up in 2019. We recommend adding some team building exercises to bring a sense of community, and build trust within your team. 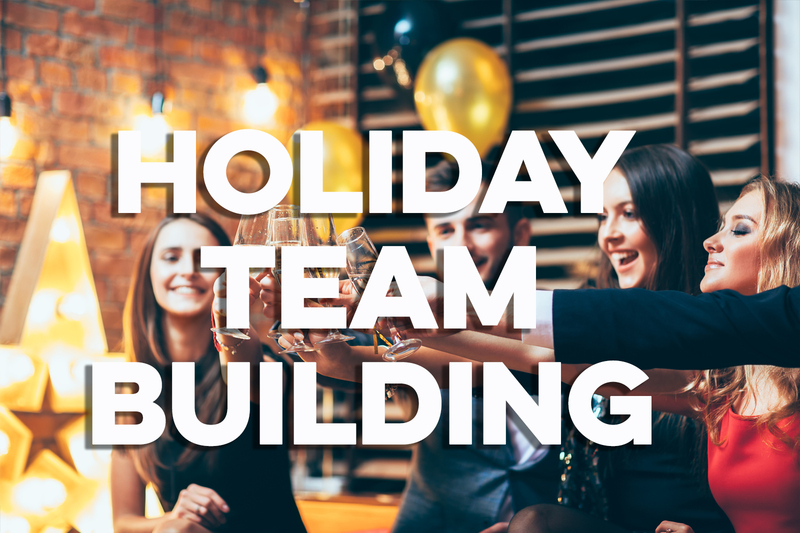 A simple 2-hour team building exercise could help keep your team focused and connected throughout the end of the year; add in some fun activities, a review of the year’s accomplishments, and highlights of the year. You want to create a team building exercise that ties in the successes, reviews the challenges and highlight the moments of triumphs throughout the year.